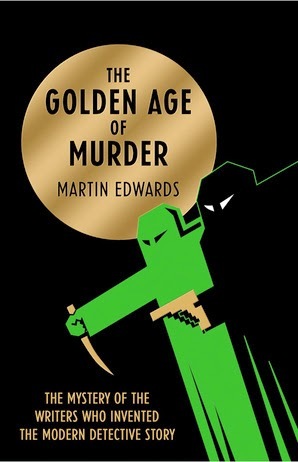 Martin Edwards is a British crime writer and author of an upcoming book, The Golden Age of Murder (2015), discussing the London Detection Club and examining "the mystery of the writers who invented the modern detective story." Do You Write Under Your Own Name is Edwards' personal blog, represented here on the blog-roll of Insightful Informants, and two interesting posts appeared on there recently – concerning a resurgent interest in the Golden Age of Detective Fiction. 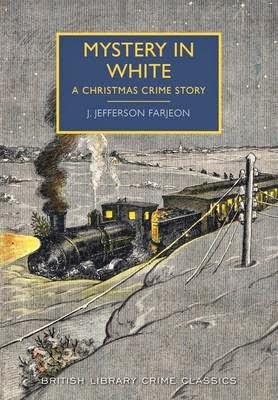 The first post, "And the latest runaway bestseller is," considers the unexpected success harvest by the British Library Crime Classics with the republication of Mystery in White: A Christmas Crime Story (1937) by J.J. Farjeon. We'll leave it to the scholars to debate who was more obscure, the book or its author, but the reprint of this long-forgotten mystery novel sold over 60.000 copies! The second post, "Golden Age reflections," asks the opinion of the blog-readers of why a rival of the classic crime novel is happening now. Well, I believe it's been happening, slowly but surely, for a while now and began when the internet offered a free and open market place to small, independent publishing houses. 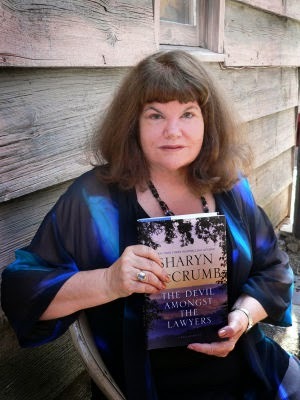 Rue Morgue Press, House of Stratus and Crippen & Landru began in the early 2000s with reintroducing then forgotten mystery writers such as Glyn Carr, Anthony Berkeley, Torrey Chanslor, Craig Rice, Joseph Commings, Kelley Roos and Freeman Wills Crofts. It steadily expanded the available material to readers of Golden Age fiction beyond the shelves of secondhand bookshops and rummage stores. A notable success story of these reprints is Gladys Mitchell, whose output was largely forgotten and next to impossible to find. That was until the Rue Morgue Press began reprinting some of her work, such as Death at the Opera (1934) and When Last I Died (1941), while Crippen & Landru collected all of Mitchell's short stories under the title Sleuth's Alchemy: Cases of Mrs. Bradley and Others (2005). Minnow Press reproduced a handful of expensive, hardcover edition of some of the harder to find titles in the Mrs. Bradley series. That was a decade ago and since then multiple publishers, big and small, republished nearly every mystery novel the prolific Mitchell wrote in her lifetime – and most of them were expensive collector items only a decade ago! 60.000 copies sold! The ride never ends. The secondhand book hawkers of the internet market place also did their part in putting little known, long out-of-print detective stories back in the hands of readers, which made collecting vintage mysteries look really easy. However, I'll grudgingly admit that the growing popularity of e-readers and a growing catalogue of public-domain titles may've drawn a serious crowd of new readers to our genre. 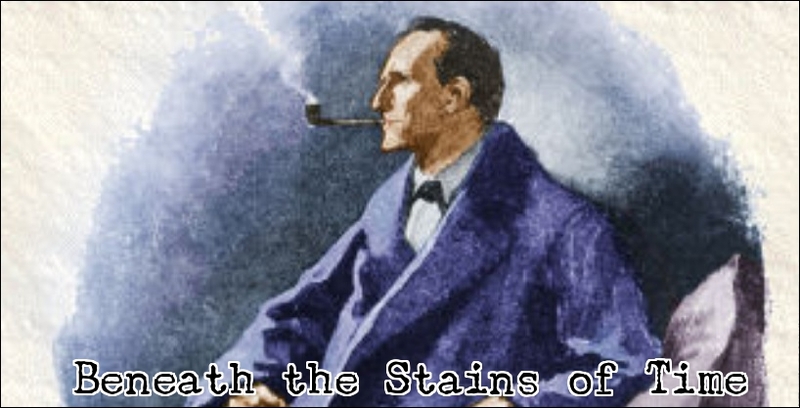 The names in the public domain are monuments of the transitional period between Sherlock Holmes with his Rivals and the Golden Age: Sir Arthur Conan Doyle (Sherlock Holmes), G.K. Chesterton (Father Brown), Maurice Leblanc (Arsène Lupin), Jacques Futrelle (The Thinking Machine) and R. Austin Freeman (Dr. John Thorndyke). To name just a few. And their books are free or offered in bundles for pennies on the dollars. Now juxtapose all of that to the stale, rigidly state of the contemporary crime novels topping the "Crime Bestseller Lists" for the past 20-30 years. The crime novel with cover art besieging you to consider it proper literature, exploring the criminal nature of mankind in a series of mini-biographies of the characters, guaranteeing a book bound with more substance than its plot. What about the character-driven series of police procedurals with a troubled cop or the literary thrillers in the hardboiled vein with a jaded protagonist. It's the same old, same old, come-and go realism critics have been raving about for decades and chugging awards at for "Transcending the Genre," character exploration and prose that's probably "stone-cold" or "ultra-modern." I believe the entrenchment of the contemporary crime novel, together with its tropes and clichés, while pretending to be the only game in town, is what kept drawing a bigger audience of readers to the detective stories of yore – offering even a wider variety of crime stories than its modern counterpart. 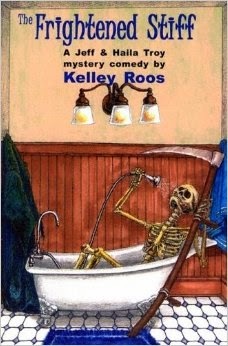 Whodunits, howdunits, locked room and impossible crime stories, thrillers of all stripes, rogue stories, forensic mysteries, suspense, gothic romances, socially aware detectives, comedy of manners, spy intrigues, "Had-I-But-Known," historical mysteries, parodies and pastiches, hardboiled, softboiled, adventure-hybrids, SciFi-hybrids, early police procedurals, juvenile mysteries, etc. I think the abundance of short stories produced during the Golden years are being appreciated all over again by modern readers, because you can easily read one or two stories on the train or bus to kill the time. From a consumer's perspective, it's completely understandable why these stories have become interesting again. They offer the reader a genuine choice and a majority can be downloaded with a swipe of a finger on your e-reader, of which a significant portion is in the public domain – completely free-of-charge. How can those stale, dime-a-dozen "Literary Thrillers" and "Crime Novels" compete with that? Personally, I hope this expanding interest in the classics is a response to the postmodern deconstructivism, which is at the root of the contemporary crime movement, because I believe we're leaving that period behind us. What's left to deconstruct? Even the major prizes are given out to writers only marginally associated with the genre. So why would readers put up with the same themes being crammed down theirs throats how the world can be a dark, violent and unfair place swamped in corruption and deceit. That message has been duly noted over the past 15 years. Maybe that's really why readers are turning to books enthusiastically shouting, "c'mon, what are you waiting for? The game's afoot!," instead of the ones depressingly asking "what's the point." Times and attitudes have changed. The meme "born too late to explore the world, born too early to explore the universe" won’t be an epitaph for the 21st century, but a challenge that was met. We'll colonize the hell out of the Moon and Mars like the descend of Imperial Europe on the New World! "Dead people are in heaven, or in hell, and I've never yet seen a murderer come from either direction." The 48th volume in the seemingly inexhaustible Detective Conan series, published as Case Closed in North America, kicks off with a mountain hike for the kids of the Junior Detective League – under the familiar guidance of Doc Agasa. Junior Detective League is there to hunt for beetles, but Doc Agasa and Anita have set out a treasure hunt for them instead. However, the code they've written, as a stand-in for a treasure map, proves to be challenge even for Conan. In between, Conan has to be Jimmy to Rachel over the phone when a guest is bludgeoned to death at her hotel and Serene claims to have seen the victim's "dying message" – erased by the murderer by smashing the window it was scrawled on. Of course, the solution to the code and dying message run along similar lines, but Western readers can forgot about solving these Japanese word puzzles themselves. It probably came off better in the original. The hotel-murder/dying message seems to have taken its cue from "The Name on the Window," collected in Beware of the Trains (1953), by Edmund Crispin. The middle section of this volume is entirely gobbled up by The Problem of the Fifth Soul, which would make a great title for a mystery novel. Anyway, Atsuhiro Kunitomo engages Richard Moore, not as a private investigator, but as a ghost hunter – convinced a malevolent spirit is haunting him. A series of strange accidents have happened, on particular dates, post-scripted with the delivery of printed notes signed, "The Fifth Soul." The mansion of Kunitomo is well protected and the entrance to the third floor has a door protected with fingerprint recognition, which only recognizes fingerprints in its system. If an unregistered person touches the pad, it'll be logged as an intruder and the alarms will go off. Well, you guessed it. Someone is murdered on the third floor and hung from the balcony, but all of the potential suspects with access suffer from a phobia exonerating them from suspicion. I was immediately reminded of Charlotte Armstrong's The Case of the Weird Sisters (1943), but Aoyama wrangled out a different kind of solution that blatantly defied a written rule of the genre – while being completely fair in doing so. The only inexplicable part of the story is that even I don't know whether or not to qualify it as an impossible crime story. The final two chapters are interconnecting, stand-alone stories introducing a new character, Rena Mizunashi, a TV-News anchor, who brings a small problem to Moore and Conan. Someone keeps ringing her doorbell, but when she opens the door, nobody is there. It's an easy, sickening adorable problem to solve, but a listening device, planted by Conan (just in case), yields unsuspected results in another, ongoing investigation – revealing another member of the mysterious Black Organization. And what he learns is that they're planning to assassinate a person they refer to as "DJ." That story will be concluded in the following volume, which is on the top of the pile. So, all in all, volume 48 was a decent collection of cases, but none of them particular outstanding (compared to the best in the series) and (probably) the best story will be concluded in the next volume. Luckily, that one is on the top of the pile! By the way, I felt like channeling the ghost of Frederic Dannay when I came up with the post-title, "Debugging a Ghost," because it covers all of the stories. The bugs from the beetle hunt, debunking of a ghost and the bugging device exposing an agent of a phantom-like organization. Finally, if this happens to be the last post of 2014, I wish you all the best for the next year and I’ll be seeing you all back in 2015. "Things must be done decently and in order." "A cold, precise but admirably balanced mind." First of all, before anything else, I hope everyone had a wonderful Christmas day stuffed with the diabetic inducing joy and sweetness of the holiday season. If you didn't celebrate Christmas, bah-humbug on you, but hope you had a great day nonetheless. Now that we got that out of the way, it's that time of the year again to face that annual, dreaded chore: sifting through your own reviews, as if they're cold case files, in order to compile the traditional list of favorite mystery novels read over the past twelve months. As I've pointed out ad nausea, 2014 wasn't a productive year for reading or writing about detective fiction, which is why the list isn't as comprehensive as in previous years. Looking back at my twenty-fourteen list, I understand why this year felt like such a slum: I haven't come across a single, genuine classic from the Golden Age and the list is dominated this year by post-Golden Age titles – even the locked room mysteries are shockingly underrepresented! So much for scratching the stains of time in 2014. A rarity among a rare kind of impossible problem, the doppelgänger, presented as an inverted mystery and thus the "astral projection" trick could be played up to full effects for story telling purposes. The aim is to assassinate the character of a highly respected man and it just made for a great suspense novel. A review of this police thriller with detective interruptions has been on the top of this page for more than week a now. So you' ve probably read familiar with my opinion on the story by now. 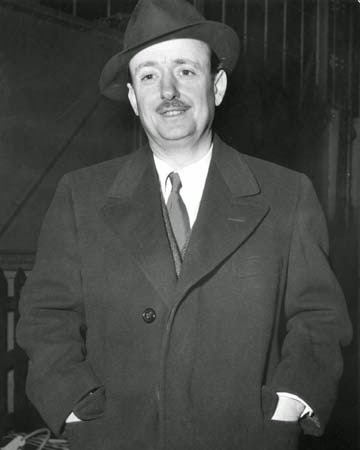 Leo Bruce was, in my humble opinion, one of the best humorists writing detective novels and the satirical Case for Three Detectives (1936) is a testament to that claim. In this case, Bruce is gently jabbing the 1920s body-in-the-library kind of mystery in the ribs, but it's a clever piece of work in its own right. A modest collection of short stories by the Master of the Locked Room Mystery, which includes the titular novella and the superb "The House in Goblin Wood." One of my favorites from Collins' now defunct "Disaster Series" and usually places a (once) famous mystery author, such as Jacques Futrelle (The Titanic Murders, 1999) and Agatha Christie (The London Blitz Murders, 2004), in a historic blip on the radar to solve a murder. However, in The Pearl Harbor Murder it's Edgar Rice Burroughs (of Tarzan fame) who has to keep an eye out for German spies and figure out who murdered a sensational band singer, while only the reader knows what's about to hit them within 48 hours. 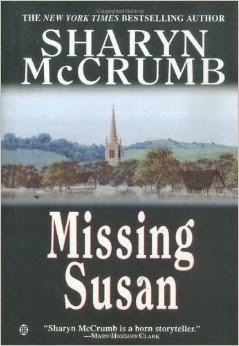 This may not have been one of the knotty, twisted affairs I have encountered in previous novels by Disney, but it was still a solid detective story with well-rounded characters and historical awareness – often carrying the weaker elements of the plot. The first in "The Sorrowful Mysteries of Brother Athelstan" series, set in the 13th century during the reign of Richard II of England, and involves the seemingly impossible poisoning of Sir Thomas Springall in his bedroom, which was protected by a medieval burglar alarm – floorboards in the hallway to the bedroom "sing" when you walk over them. A well crafted historical mystery, even if I figured out how it was done. John Pugmire has been doing his part in bringing about a second Golden Age of Detective Fiction by translating the works of the French craftsman of impossible crime stories, Paul Halter, of which The Crimson Fog was the seventh – and more have been published since. The plot doesn't allow for much commentary. So read it for yourselves. 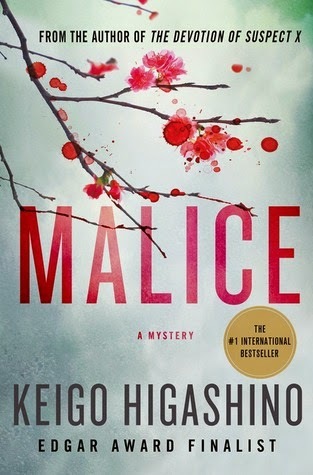 Higashino was introduced in the West with a 2011 translation of Yogisha X no kenshin (The Devotion of Suspect X, 2005) and Malice is the third novel released in English, which revolves around the brutal strangling of a best selling author. What ensues is a cat-and-mouse game between the detective and the murderer. I'm not a fan of whydunits, but I had to make an exception for Malice. Granted, this isn't the best mystery novel on the list, but Hangman's Hill strength is mainly derived from its interesting depiction of news correspondents on the battlefield in a partially liberated France. The first novel from the Chief Inspector Armand Gamache series I sampled and the plot deals with the seemingly impossible electrocution of an unlikable, self-proclaimed guru in the small, snow-covered town of Three Pines – during a game of curling. I'll be returning to this series in 2015. John Quincannon and Sabina Carpenter deliver the best detectives services money can buy, in the San Francisco of the 1890s, which puts them on the trail of an armed robber, a vanished corpse of a suicide victim and an array of apparently supernatural lights haunting an abandoned lot of horse-tractions cars at the beach. "Daphne Sanders" was better known under a different penname, that of "Craig Rice," and the punch-drunk style of the John J. Malone mysteries, but this standalone is quite different in style – in which the main characters, John Moon, doubles as protagonist and antagonist. Even helping a hand in the investigation he's a suspected of. Rice seldom disappoints and this time was no different. Well, the worst of 2014 was undoubtedly the excruciating death-throws of a returning Jonathan Creek, stretched painfully over three episodes, which probably left fans of the series with a kinder feeling towards the third and fourth season. And that's not a good thing. The worst mystery novel, or attempt at writing one, has an undisputed winner this year: De onzichtbare doder (The Invisible Slayer, 1963) by Edward Multon. That's all you need to know about this book. The title and name of the author. Never bother getting this one translated. This probably won't be the last post of the year, I'll probably squeeze in a review of Case Closed, but all that's left for me now is to wish every one of you all the best for the New Year. "We meet people on the worst day of their lives." M.P.O. Books' Cruise Control (2014) is the eighth in a series of police procedurals, blending the characterization of the contemporary crime-and thriller novels with the plot-awareness of a classic whodunit, which began with the publication of Bij verstek veroordeeld (Sentenced in Absentia, 2004). And that was than a decade ago. District Heuvelrug series has evolved quite a lot over that time period. The first couple of books had Bram Petersen, a veteran police inspector, and his younger assistant, Ronald Bloem, as the main protagonists, but Bloem transferred to another district in De laatse kans (The Last Chance, 2011) due to personal issues and Petersen resided into the background after his wife suffered a stroke in De dood van Callista de Vries (The Death of Callista de Vries, 2012) – giving room for other characters to shine and develop. 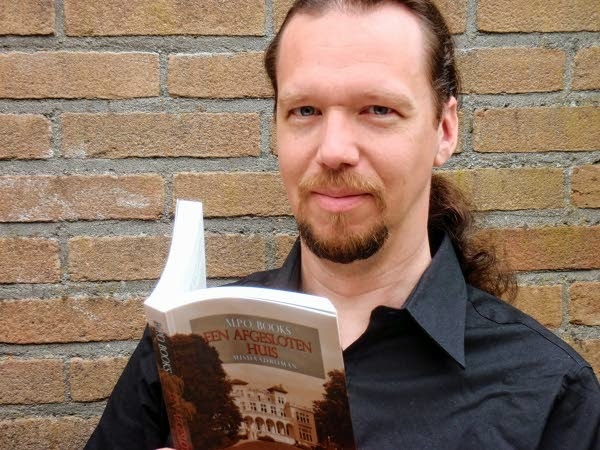 There was a hiatus of four years between the publications of Gedragen haat (Hatred Borne, 2006) and De blikvanger (The Eye-Catcher, 2010), during which Books was shopping around for a new publisher and (obviously) improving his craft. The plots from 2010 onwards are delightfully complex, interlaced with clues, and graciously unraveled by a team of professional police men-and women in the spirit of Ed McBain 87th Precinct series. The Eye-Catcher and Een afgesloten huis (A Sealed House, 2013) were sporting impossible crimes, but The Last Chance, even without a locked room mystery, remains a personal favorite – which says something about the quality of the story and plot! Cruise Control can be characterized as a third shift in direction for the series and this might explain one of two things: the length of the story, almost twice as long as normal, and why the opening chapters felt as an introduction to a completely new series. Gisella Markus is introduced to the reader as a police woman in her early forties, who found herself, surprisingly, ascending to the rank of Chief-Inspector, with an invalid, embittered and nagging husband at home – who insists on being a drag on her life. Niels Hanse is the one who usually assists Markus on cases and a column of support for her to lean against, but their present assignment impacts Hanse, who's gay, personally. The body of a half naked man was found in the vicinity of a recreational area, De Treekerpunt, known as a rendezvous spot for cruising gays and was shot, execution style, between the eyes. Hanse is sure the shooting was the work of someone with a grudge against homosexuals, but Markus thinks the murderer could very well have been one of the cruising men. After all, Felix van Leeuwen dealt in narcotics and had caused trouble before. Van Leeuwen's behavior gave even the forest ranger a motive and this provided the first leads for the assembled task force to sift through, which includes Inge Veenstra from District Heuvelrug and her former colleage, Ronald Bloem. A vile-worded bloedtekst (blood text), written in chicken blood, fuels Hanse's theory, but colliding opinion and personal circumstances continue to bug the investigation. Than, exactly six weeks later, the shooter strikes again and, before long, another blood text is found: "IK PROBEER EEN PROBLEEM OP TE LOSSEN” (“I'M TRYING TO SOLVE A PROBLEM"). The team recognizes this as a possible indicator that they might be dealing with a serial killer, who's warming up, and they receive more manpower. Actually, A Sealed House ended with John van Keeken, who replaced Bloem, hearing the news of the second murder and was to go there to strengthen the team. Eventually, they even drag Bram Petersen from special leave to give his opinion on the case, but mounting media attention and internal division plague the investigation relentlessly. There's an anonymous "whistleblower" that accuses the conservative-minded, but always respectable, Petersen of homophobia, while the murderer delivers a personal blow to the investigators in the next hail of bullets. As well as blowing my already fragmented theories to a thousand tiny little pieces. I found it interesting how Books rendered an otherwise well-oiled and experienced team of professional police investigators useless by pouring gallons of raw emotions into the machine, which made me overlook a majority of the clues and the identity of the well-hidden murderer caught me by surprise. I openly admit that. But I loved how Petersen functioned from the sideline, as an old-fashioned armchair detective, connecting the dots based on footprints, gun knowledge and Jack the Ripper-lore to reveal the killer. However, the ending clearly shows Books has one foot as firmly planted in the modern school of crime fiction as in the one honoring the traditional art of murder, because, character-wise, his novels have the penchant to end on a dark note. I even felt sympathy for Bloem and I was glad when Van Keeken took his place, but now I would welcome him back into the fold out of sheer pity. Poor guy. Nevertheless, I'm quite proud of our homegrown, neo-orthodox crime/mystery author and his methods has its desired effect: I'm very curious about the aftermath of Cruise Control, but I have a suspicion the answer won't be given in the next book. I suspect that the following book will be about the, briefly mentioned, investigation of the kidnapped-and murdered shop owner in Utrecht that Bloem was a part of and probably involved Inspector Arthur van der Camp – which would explain Bloem's behavior in this story. Well, hopefully, the shop owner was conscientious enough to have allowed himself to be snuffed out under impossible circumstances inside a sealed or guarded room. To summarize: Cruise Control is a high strung, character-driven police thriller with detective interruptions and the story is packaged in a deluxe paperback edition with diagrams of the crime scenes. What's there not to like, if you enjoy crime fiction in general? "So, with that display of general incompetence, we reach the end of recorded history. All that remains to see is who has learned its lessons, and who's condemned to repeat their mistakes endlessly…"
It has become a pattern of expectation for this blog to promise a resurgence in activity, during a rambling post or stuck at the end of a review, only to be followed up by another prolonged radio silence. And, this being December, I would be foolish to renew that promise for this month, but I do foresee a hike in blog activity for the holiday season. Firstly, I'll be composing the annual list of best-and worst mystery novels read in 2014, however, they probably won't be as comprehensive as in previous years – 'cause it was a slow year. You know the excuses by now. Secondly, Dutch crime-and detective writer extraordinaire, M.P.O. 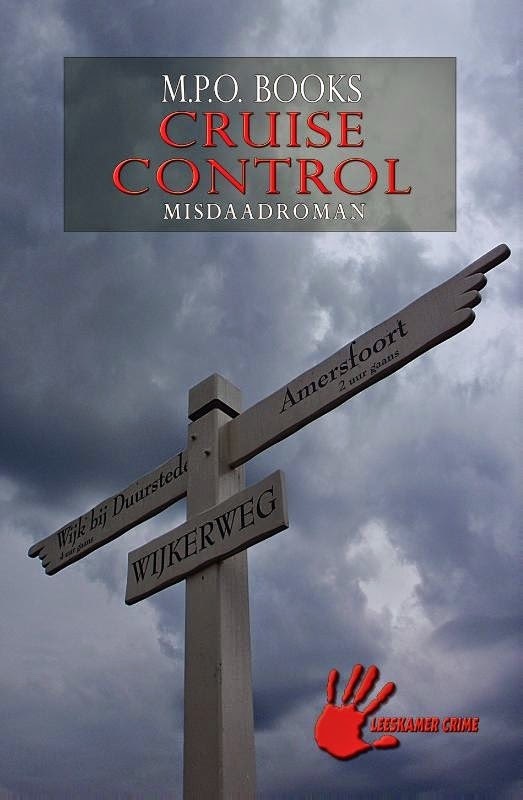 Books, published his latest entry in the District Heuvelrug series, Cruise Control (2014), which I want to have read and reviewed before Christmas rolls around. It's not an impossible crime story such as the previous one, Een afgesloten huis (A Sealed House, 2013), but a hunt for a possible serial killer and I have spotted a map of the crime scene! Books has consistently written splendid crime fiction since his return, after a four year hiatus, with De blikvanger (The Eye-Catcher, 2010) and De laatste kans (The Last Chance, 2011) remains a high note in the series – deserving of a wider audience nationally and internationally. So you can expect a review of Cruise Control before 2015. I'm afraid reviews of newer works and recent publication will be dominating the blog for the next month or two. 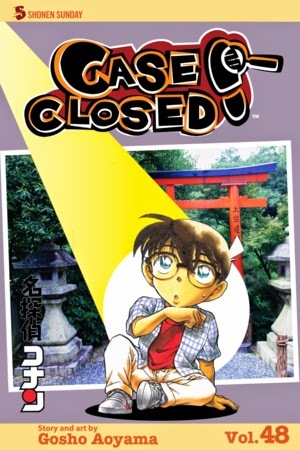 There are five or six volumes of Case Closed (a.k.a. Detective Conan) on the itinerary and want to knock at least two of the list before the New Year. Meanwhile, translator and publisher John Pugmire, from Locked Room International, never took a break from ferrying impossible crime stories from across the globe to a very appreciative, English-speaking reading audience – like a true purveyor of spirits! And, yes, I have some serious catching up to do in 2015 with the Locked Room Int. publications. Bill Pronzini and Marcia Muller's The Body Snatchers Affair (2015) will be published in January and still have a few mysteries by Keigo Higashino and Louise Penny to go through. And, no, I have not forgotten about Otto Penzler's 900-page juggernaut, The Black Lizard Big Book of Locked-Room Mysteries (2014), which I don't find intimidating at all. It's what I have trained and prepared for all my life under the mentorship of John Dickson Carr's ghost. Hey, I got halfway through the unabridged, four-volumes of five hundred and odd pages each epic known as Journey to the West (c. 1592) by Wu Cheng'en. I use the boxed set now as a book end. So, yeah, 2015 is basically going to be more of the same: enthusiastically babbling about locked room mysteries, reviewing the classics, traversing the trail of obscurity and looking down contemptuously at the contemporary school of crime novels and their champions. The reader has been warned. "He who digs a hole for someone else, falls in it himself." Well, we're more than a week into the last month of the year and 2014 can be safely summarized as a slow, unproductive year to read and review mysteries on this side of the screen – not to mention the steadily increased backlog of new releases. It's great and all to be smack in the middle of the genre's Renaissance Era, but the pace is nearly impossible to keep up with at this point. Oh, well, enough complaining for one paragraph and let's take down one of these new releases, before the end of the year. That'll cut one book from my backlog for 2015. Yay, progress! Een kuil voor een ander (A Hole for Someone Else, 2014) is the eleventh entry in the Bureau Raampoort series by Simon de Waal and the late A.C. Baantjer, who co-created/wrote the series until he passed away in 2010. 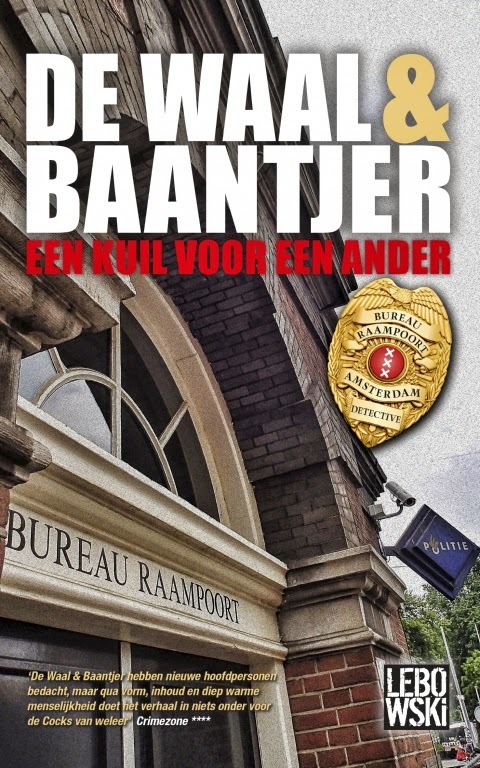 I have said before how Bureau Raampoort has become my placebo for Baantjer's original politieromans about Inspector DeKok, as he's known in the English translations, which were my gateway into detective stories, but this series tends to be more Simenonean than Baantjer ever was – i.e. 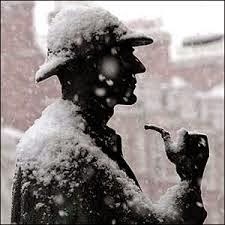 stories about detectives rather than detective stories. Een licht in de duisternis (A Light in the Darkness, 2012) was a notable exception to this rule and A Hole for Someone Else can compete with it. Winter has come to Amsterdam and Peter van Opperdoes, the old, seasoned veteran policeman of Bureau Raampoort, is enjoying what would've been his day off, observing futile attempts of car drivers at mounting a slippery bridge, but the discovery of a body puts an end to that day. A construction worker noticed a peculiar hole in a wall, inside a building that was being renovated, and inside that hole was another hole dug in the ground – containing the body of a man with strangulations marks around his throat. But the hole in the wall has more secrets to reveal: there's a hidden door giving entrance to a hidden room, stairs and the house above, which, according to rumors, have been used as a passage way for criminals. The crime scene was basically a Matryoshka doll. The hidden cubbyhole for criminals in combination with the wintry landscape gave a charming and classical touch to the familiar elements of the series and characters. Van Opperdoes is reprimanded for having closed the open, starring eyes of the victim, out of old-school piety for the dead, before the forensic team could do their work or the scene of three Amsterdam detectives digging in the half-frozen grounds in the provinces for a second body. De Waal also acknowledged Jacob never uses his surname and Van Opperdoes still talks with the disembodied voice of his late wife, which seems to become dimmer with each passing book. The plot itself is pleasantly busy and moves along multiple lines, which includes the double identity of the first victim, an unknown man who fled from the crime scene, a big criminal from the province of Brabant, a corrupt policewoman, a shady Officer van Justitie (prosecutor) and a third body drenched in bullets. There are even a few clues, but, in the end, it still wasn't, what you'd call, a proper whodunit. However, I did appreciate how the unburied body in the wall, and how the body ended up there, brought everything else to the surface. Gotta appreciate those plot patterns. In summation: A Hole for Someone Else is a fine, bustling police procedural in the Dutch (Amsterdam) style with all the familiar earmarks of an ongoing series that continues to draw readers back to tag along on a case with Van Opperdoes, Jacob and the cast of semi-regulars hovering in-and out of the stories. I'll probably return to the classics and writing good reviews in my next post.